I think there would be little doubt that the name of Ernest Skinner is held in the highest regard amongst US organists and organ builders. Skinner did not only produce instruments that sounded magnificent, interestingly he was one of the first organ builders to try to establish a systematic method for providing fixed dimensions in his organ consoles. Skinner worked to develop a set of universal distances between the various keyboards, determining the ideal placement of the pedal board, at a specific distance from the Great manual, as well as the placement of the various expression shoes and other mechanical devices. This has significantly contributed to the “Standard” American Guild of Organists (AGO) Console Measurements, in use in the United States since 1930. He also had fully adjustable combination pistons long before other American firms adopted similar devices as standard. Skinner Organs were frequently referred to as the “Duesenbergs of Pipe Organs”. They were among the most expensive of instruments famous for an almost fanatical attention to detail, quality, and reliability. 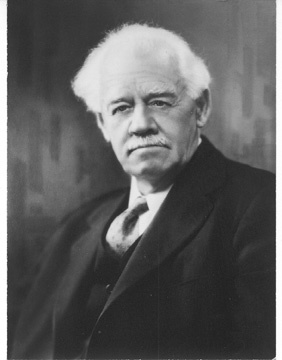 Skinner’s lifelong interest and obsession with “orchestral” tonal colours and their application to the organ also led to his development of new stops. The “Erzähler”, appeared in 1904, and was soon joined by other exotic tonal colours which Skinner worked to perfect including an Orchestral Oboe, English Horn, Corno di Bassetto, Flügel Horn and “Heckelphone” that were all very true to their orchestral counterparts. His French Horn is one of the most coveted organ voices for strong but tender solo use. In addition to his orchestral colour reeds, Skinner developed and perfected numerous string and hybrid flue stops many with matching celestes of uncommon beauty. Among these were the usual Salicional/Voix Celeste and Dulciana/Unda Maris present in the Swell and Choir divisions of many American organs of the era, but also an ethereal Flauto Dolce/Flute Celeste. The Dulcet (a pair of very narrow scaled string ranks tuned with a fast beat to heighten the intensity), and a pair of inverted-flare Gambas found in the solo divisions of many of his larger organs that allowed a rich, ‘cello-like’ timbre for solo lines in the tenor range. In both engineering and tonal terms, Skinner stands as the giant of the American organ scene in the same way that Cavaille- Coll does some decades earlier in the French organ world. Through the 1920s, Skinner’s reach and acclaim continued to grow. The “Skinner Organ Company” built hundreds of pipe organs, for customers all across the United States. Skinner was in constant demand for his opinions and ideas and was considered the pre-eminent pipe organ builder of the era. At the suggestion of English organ builder Henry Willis III, a young Englishman George Donald Harrison joined the Skinner staff as assistant general manager in 1927. Skinner and the younger Harrison created four “Landmark Organs” in the late 1920s. These are the University of Michigan, Princetown University, Rockefeller Memorial Hall in Chicago and Woolsey Hall at Yale University, the latter widely considered to be one of the finest symphonic organs in the world. I was privileged to be allowed 4 hours alone with the organ at Rockefeller Memorial Chapel and heard at first hand many of the voices that Ernest had made his signature. With the onset of the great depression, and coincident improvements in the recording and playback of electronically amplified music in larger public spaces, orders for pipe organs fell tremendously. The Skinner Company was forced to lay off workers and scale back production significantly. This led to the eventual merger with the Aeolian Organ company in 1932. The 1932 merger of the Aeolian Organ Company with the Skinner Company, and the resulting change of the company name to Aeolian-Skinner led not long after to Ernest Skinner ceasing to contribute to the business. Reading the above you will understand why it was important for us to build an instrument that paid due respect to the amazing legacy that Skinner created. To help better understand this I also visited St Peter’s Morristown where there resides a smaller scale instrument, still though of 4 manuals, that is perhaps more typical of the companies’ instruments than the ‘Landmark Giants’ represented so well in Chicago. Here to I could listen and record the signature Skinner stops of ‘English and French Horns’, the Erzhaler and string and Flute Celeste’ The Morristown console was also original and so offered a better insight into a Skinner console than was the case at Chicago which had been enlarged and altered over time. After a great deal of thought on what we should build for our first venture into the world of Skinner I concluded that we would be well served by making a near perfect copy of the Morristown instrument. Its tonal variety was substantial, especially so when considering that all divisions, save the great, have both sub and super octave couplers. There are even super octave couplers for Swell and Great to pedal, or 4ft as they are more often referred to in the USA. We reduced it to just 3 manuals, the solo floats. This is a personal decision as I find the music desk on 4 manuals uncomfortably far away. In all other respects the console is identical save that we have added many more pistons and memories to make its management far easier for the musician. The console also had some rather charming features that appealed to me to replicate. Built in 1927 long before internal telephone systems had become common place the Morristown organ has a ‘lamp’ signalling system with red and green lenses which I presume advised the organist when to start and stop playing. I did not explore who or indeed where the buttons may have been located about the church for this information to be sent to the console. The west end door must have been one of the locations where no doubt a suitably responsible steward would have indicated the arrival of a bride or perhaps a coffin. While today this charming system has most likely been replaced by mobile phones, I thought in ‘homage’ to Ernest Skinner it would be nice for our console to hark back to an altogether less frenetic and simpler time. This turned out to be a far bigger challenge than I had anticipated as finding the green lozenge shaped light lens took us months. Many internet searches turned up nothing at all. We even resorted to trawling the local flea markets exploring costume jewellery to find something suitable. And then late one evening, in bed on the Ipad, Google delivered the goods together with the red lens we also needed, both on a US web site. These were fitted into a copy of the decorated mounting plate machined from Corian and the final but important piece of this jigsaw was complete. It’s interesting to speculate on the reason for the very much larger and prominent red light set against the smaller green one. Was it considered far more important to ensure the organist saw the light to stop playing than to start? Thinking about it, it probably was and so even here it seems that Skinner’s attention to detail and form are again demonstrated. There is also a lovely feature of ‘warning lights’ elegantly incorporated into the right-hand jamb. These advise the organist if the ‘tutti’ as we would now call it has been engaged and is overriding the registration. Of course, in the USA at the time it was called ‘sforzando’ rather than tutti. The same panel has lights to indicate that the crescendo pedal is active and that ‘all swells to swell’ is active. This is the first pipe organ that I ever played to have this facility, common though it is on digital instruments and so I learnt that far from being an invention of the digital organ builders (so easy with electronic volume controls!) it was a feature of Skinner organs almost 100 years earlier. And of course, the second organ I encountered with the same feature was the Skinner in Chicago. Other lovely features of this instrument were the hinges that allowed removal of the music desk, itself a work of art, but as I have since found not perhaps as practical as a solid desk when needing to mark up the score on the desk as I have now found my pencil pressing on the ‘fresh air’ in the gaps of the desk. The key cheeks also are also a lovely designed embellishment, rather than the plain blocks of wood we usually see. We also faithfully copied the rocker tab build and layout, thumb pistons and toe pistons even using ‘levers’ for the pedal couplers and ‘sforzando’ as found on this console. We did allow ourselves to add a fuller compliment of pistons than is found on the Morristown instrument and also provide separate divisional and general memory management. I am sure Joshua Stafford, organist at Morristown would approve as he has to manage with just the pistons available without any additional memory levels. Replica toe pistons available from third party suppliers did not match the quality we wanted so in the end we resorted to making our own copies. While these do not to my eye look as attractive as some alternative designs the sharp point of each toe piston head does make them very easy to find and this is of course part of the mission that Ernest Skinner had when standardising console layout and furniture. The toe sweep was also particularly complicated to replicate as it is curved in 2 planes at right angles adding considerably to the joinery challenge of construction. You will perhaps note that the thumb piston size and shape is almost identical to those used by the Allen Organ Company to this day, so they too in the past may have taken inspiration from the work of Ernest Skinner. We even went to the extraordinary length of obtaining brown felting for use around thumb pistons and draw stop stems. Today black or red is what we most commonly use. We also faithfully duplicated the fonts Skinner used for engraving stops, tabs and pistons. The main structure of the console is of a dark oak with the interior jambs in mahogany. This gives the large console a very stately feel. While it lacks some of the finer detailing we have provided to some clients there is a tranquillity and dignity to this design that makes it a very comfortable place to sit. This is also the first instrument we have built that uses adjustable dampers to give the swell pedals the ‘feel’ of actual connection to wooden shutters. So the swell pedal refuses to move quickly adding volume faster than intended, unless deliberate force is applied. And finally coming to the seat, this console like the two I played in the US, has a back to its adjustable bench. You do not lean against the back when playing unless you are near exhausted and can no longer sit straight, so this seemed to me to be much more a matter of form rather than practical design. But then when not playing it does allow the musician to rest more comfortably. So once again Skinner demonstrates practical thought as after all I think that unless in recital, we all spend far more time sat at our organ benches not playing rather than actually performing. It has been a very great pleasure exploring in person two Skinner instruments and of course pouring over many hundreds of console photographs to determine the exact form of the console we finally made and the voices we included within it. All now that remains is the challenge of finding a customer that will appreciate the work done and who wants to share the joy of owning and playing an instrument that pays due homage to a very great chapter in the history of US organ building. It goes without saying that the first recordings of this instrument with the Skinner voicing have really impressed those who have heard them. We have created a special showcase page for the Skinner Style Organ on our website. It has a Video and a couple of galleries with lots of high res images. There you can finally judge the instrument for yourself, but hopefully you like what you hear and see. Finally, the video below is a time-lapse of the first phase of the build process at Renatus. Unfortunately the video isn’t complete as the camera failed half-way through the process but hopefully it is still interesting to watch.